All our puppies are kitchen raised. They are introduced to all the livestock on our ranch. Puppies are CKC registered. At their first vet visit they get their first shots, de﻿wor﻿med and have a microchip implanted. ﻿﻿We have shipped pups all over our continent but in 2014 new USA regulations won't allow pups to be imported until 4 months of age. **Unless people from the USA want to buy a puppy from Canada before they turn 4 months old they can apply for a Confinement Agreement (keeping the puppy contained until 30 days after their first rabies shot)! This will make shipping to the US so much easier for both us, and you, our puppy buyers! 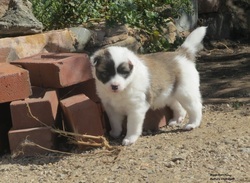 ​For further information on our upcoming litter please visit our Facebook page Biggs Ranch! 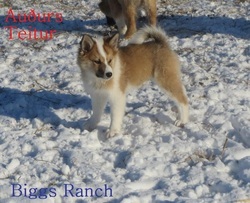 CH Audurs Gláma NPS RI RA AGNS AGIJS and Audurs Tindri are proud parents of 6 beautiful pups. All pups have found their forever families. Huldudals Hetja and Audurs Seifur are proud parents of 3 beautiful healthy pups born April 9th 2017. 2 males and 1 female, please visit our facebook page for photos! All pups are in their forever homes. Audur Svartur Petur and Svanur 10 weeks old. Auðurs Litli Rússi- male- 4 weeks old! 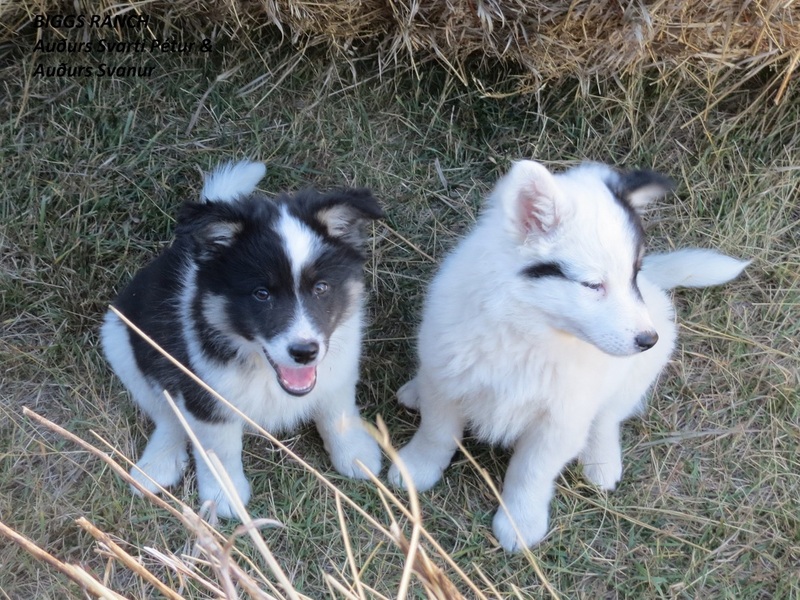 Elskan Mín Nikkólína X Auðurs Seifur´s puppies sold! 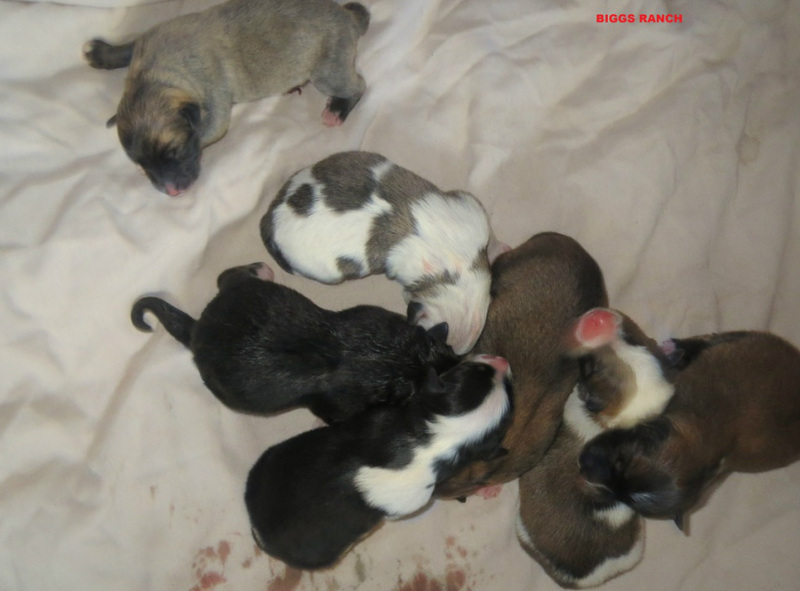 Seven healthy pups, five males and two females! All pups have found their forever homes! 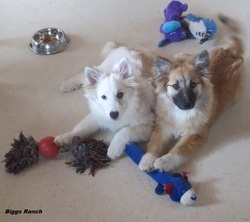 We will miss these two little puppies on our ranch, but are happy to know that they now have perfect families waiting for them! Álfa is a sweet, gentle, laid back girl who loves to snuggle! Álfa will be living in Quebec! Hnerrir is a sweet playful puppy! When he gets tired his favorite place to be is on someone´s lap! Hnerrir will be living in BC! Teitur will be living in Washington State. 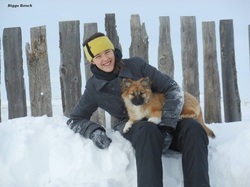 Teitur is a sweet puppy who is very adventurous! His favorite thing to do is go out and do chores! After he is finished helping with outside chores he loves coming in and snuggling on anyone´s lap! 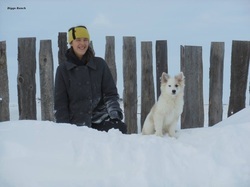 We are excited to see these puppies, if you look at the pedigree you can see dogs from Palmahaus kennel (first kennel that bred Icelandic sheepdogs in USA), Bólstað kennel (one of the first kennels in Manitoba, Canada) and dogs from my parted friend Stefanía at Yeoman Farm.